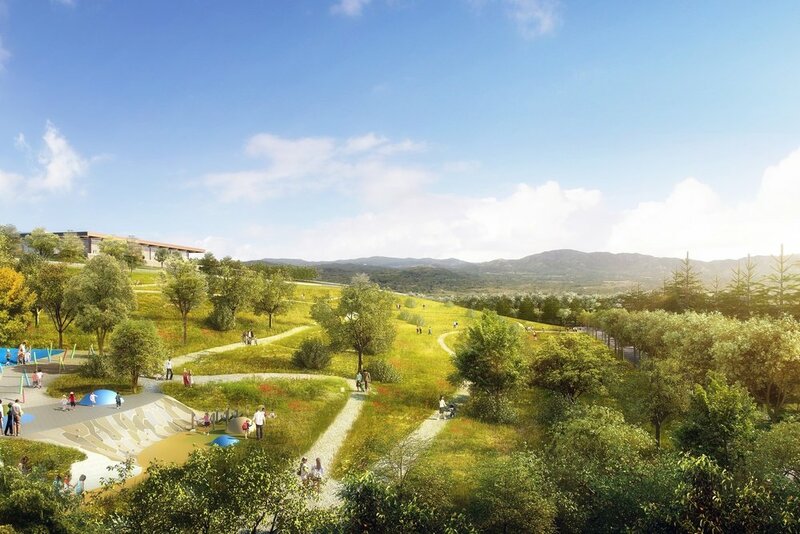 The Hills at Vallco is a transformative mixed-use project located in the heart of Silicon Valley. The master plan skillfully creates a walkable neighborhood with retail, dining, entertainment, recreation, offices and housing integrated beneath the breathtaking civic amenity of a 30-acre green roof. The architectural excellence, technological innovation and sustainable design that combine together in this project create a high performance, community responsive 21st century city center.